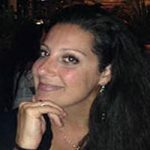 Heather Logrippo is the President and founder of Expose Yourself Public Relations in Shrewsbury, MA. The company was founded in 2009 and serves businesses throughout New England. Real estate agents are some of the more active clients at my company, Expose Yourself Public Relations. Agents need to be seen through every medium as much as possible, to help reinforce their brand. The most popular and cost effective medium is Facebook. Every real estate agent has a Facebook page, but many of them are underutilized. Agents should be posting open houses weekly as well as home improvement articles. One thing we always notice is that these pages are posted on infrequently and as a result, followers might only see one post a week and think that the agent isn’t active. It’s also important that the agents stay involved in the communities that they serve. We encourage clients to post community based articles such as a simple congratulations to the local high school football team on a recent win. Another underutilized aspect of Facebook is the interaction factor. Facebook isn’t just about posting information and hoping that people see it, agents need to be involved in the follow up, especially when it comes to listings. Posting is only half the battle, answering follower’s questions is just as important, but can be hard to keep up with. After posting a new listing, someone might comment that they think the house is too expensive or too small. You then have to find a diplomatic response and answer in a timely manner in order to engage the audience. While many real estate agents are selling homes they need to be cognizant, there is a new generation that will soon be storming the market. The oldest of the millennials are on the cusp of home ownership, and some of them are looking for more than an agent with just Facebook. Instagram is a great way to showcase homes and cultivate more followers. Instagram is pretty easy, because you can take a picture of a house you are selling and post it to Instagram with the caption, open house information and call to action to come on down. As people scroll through their Instagram accounts, they will see what new houses their agents have to offer. This is especially helpful on weekends, for instance, when a couple doesn’t have plans, they see a beautiful house on Instagram and on a whim decide to take a tour. The other nice thing about Instagram is how easy the posting process is. The act of taking a picture and uploading it while adding a short caption takes no more than minute. That is if you aren’t getting crazy with the multitude of filter options. Filters can honestly make or break your Instagram game. You can transform a dark and dingy house on murky day and make it look as if the siding sparkles and the sun is shining. Don’t let the filters intimidate you, but they definitely should be used when marketing a home. If you are a real estate agent with a lot of ideas and love home improvement projects, Pinterest is where you should be setting up camp. On Pinterest you can showcase projects that you find interesting, or that you think your target audience would find interesting. You can find anything from pallet projects to mosaic picture frames. Friends can follow your pins and find new projects. It’s also a great way to keep in touch with the latest trends that other people are posting. Twitter is helpful in the same way that Instagram is useful for agents. It helps create and establish your brand and the hashtags are endless. Every post made should include their city name and the words real estate. We do this to insure that the maximum number of people are seeing each tweet. Anyone who tweets something related to real estate or your city, will see your post. A lesser thought of, but equally important social media tool is LinkedIn. LinkedIn is a great way of showcasing your accomplishments without sounding too braggy. You can list any awards you have one, community events you are involved with and any other groups you support. In addition, listing your education and extracurricular activities you were involved in, will help you connect with like-minded people. LinkedIn is another platform to display your printed work. Articles that you have been mentioned in can be uploaded and shared with friends. 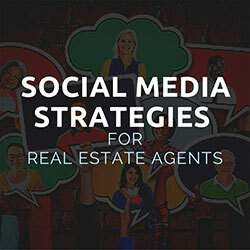 The social media avenues for real estate agents are endless and far too often underused. Making sure our clients are getting the most exposure online is what makes us good at our jobs. The hardest part is remembering that there is a generational gap and not to ignore either generation via social media. Always keep your social media accounts current and update consistently!